Gripsweat - northern soul LANDY MCNEIL Move It KAPP 600 DJ M- listen!! 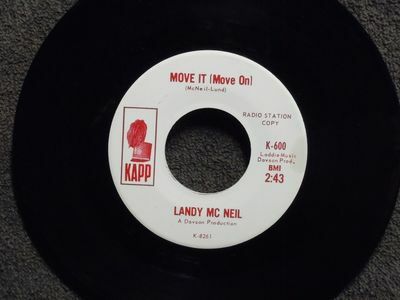 northern soul LANDY MCNEIL Move It KAPP 600 DJ M- listen!! Postage will be paid by the buyer. No handling fees will be charged.<> LISTEN! !